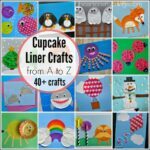 Our love for cupcake liner crafts continued today when we made this fun and simple Earth Day Craft for Kids. 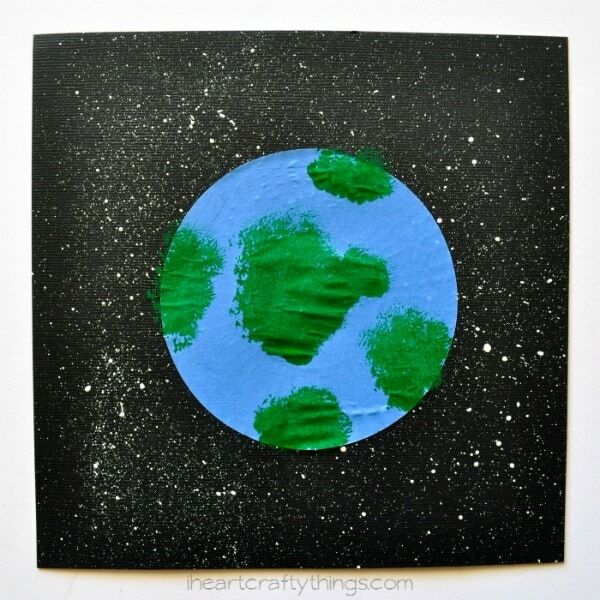 Since Earth Day is coming up next week it’s the perfect time to talk about our beautiful Earth and create a craft to go with it. 1. 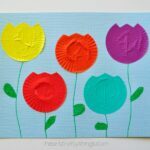 Start by cutting a square out of your black cardstock paper. I made mine 8-inches by 8-inches. 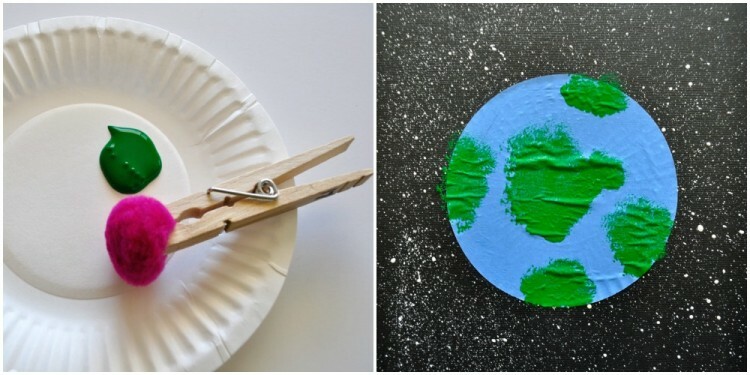 Pour a small dab of white paint onto your paper plate. 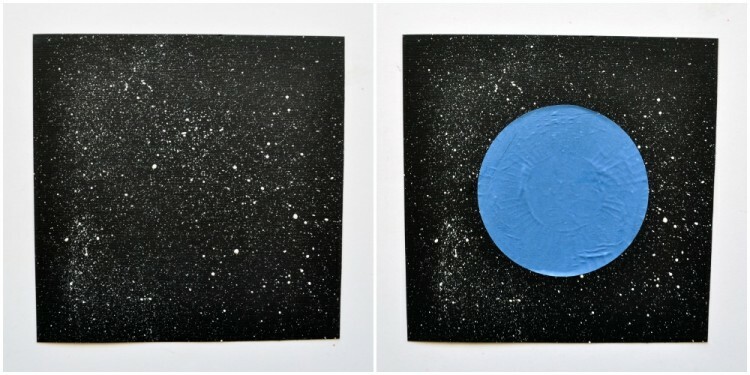 Dip your toothbrush into your paint, then run your finger along the bristles onto your black paper to make speckled stars all over your paper. This can get messy with the splatter so I suggest doing it outdoors. 2. 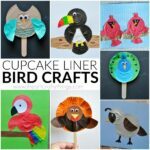 Once the white paint has dried, glue your blue cupcake liner onto your black cardstock paper. 3. 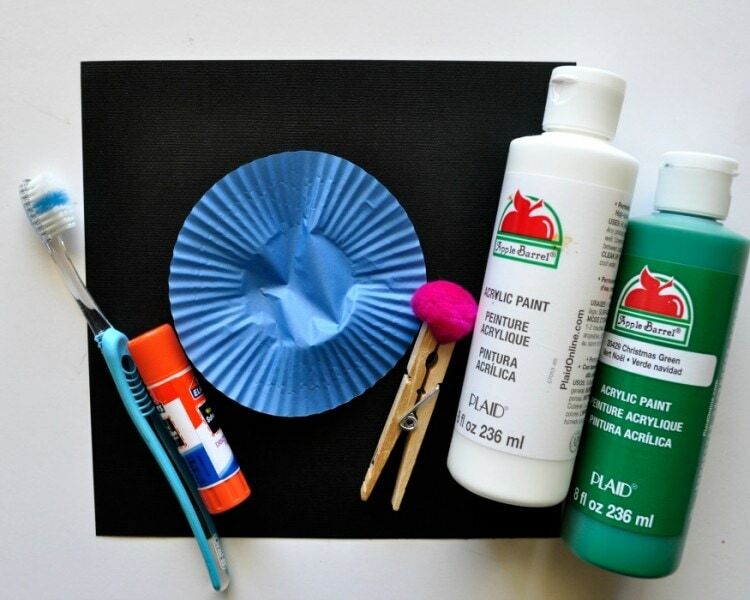 Attach a small pom-pom to your clothespin to make a little dabber paintbrush. 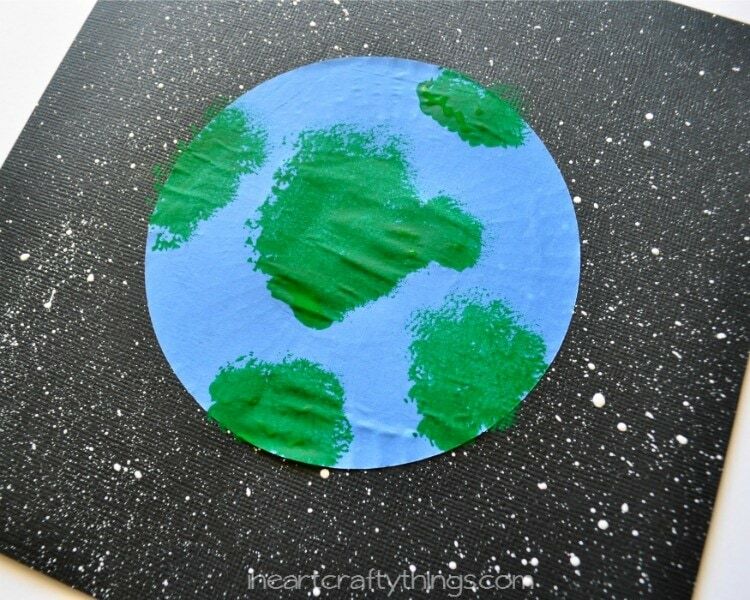 Pour a small amount of green paint onto your paper plate, dab your paintbrush into your paint and then onto your cupcake liner to make land on your Earth. Continue making dabs until your cupcake liner resembles an Earth. The pictures don’t quite do it justice because the colors look stunning against the white speckled background. 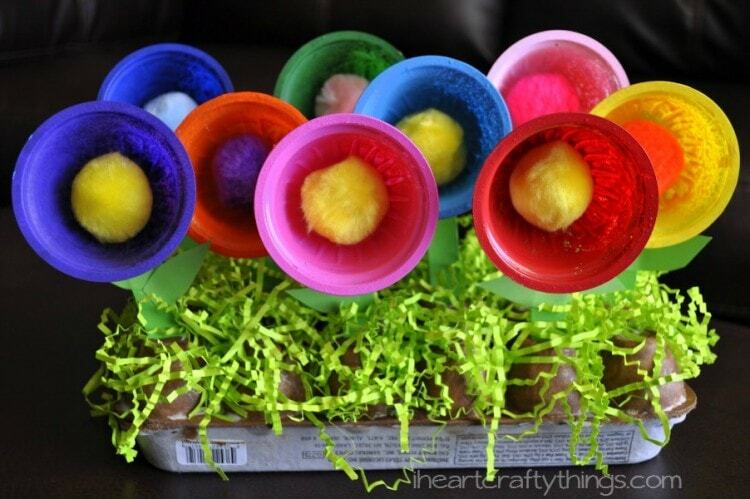 If you loved this craft you might also enjoy our other Earth Day Crafts.